As a young Catholic student in university I went through the usual struggles with my faith. I was helped, to a large degree, by a kind priest-chaplain who recommended a book which has remained a personal favorite. 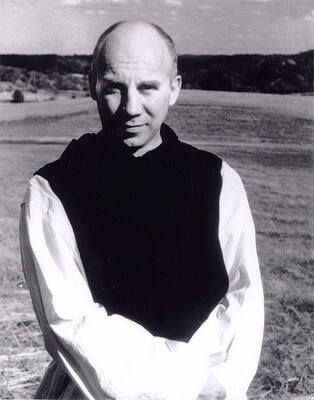 Thomas Merton's brilliantly written (the book should be mandatory reading for writers as well as the spiritually hungry) Seven Storey Mountain offers a profound and eloquent glimpse into the mindset of a young man who grapples with all the unanswered questions and modern quandaries of human existence and who ultimately finds peace and solace in Christ and his Church. I am not the only one who was touched by this Trappist Monk who has been described as part Augustine, Emerson and Ghandi. He drew a huge following through his numerous books, essays and poetry, which all explored meaning and man's relationship with the divine and each other. Merton's remarkable life is explored in a documentary film set to premiere this Tuesday, June 9th, at 8 pm ET on Salt + Light Television. Soul Searching: The Journey of Thomas Merton offers a rare, candid and unprecedented glimpse into Merton's many struggles, temptations and quest for meaning and redemption.